Design Museum is a museum founded in 1989, located by the River Thames near Tower Bridge in central London, England. The museum covers product, industrial, graphic, fashion and architectural design. In 2007 the museum was listed by The Times newspaper as number two in their top five museums of the year. Deyan Sudjic is the current Director of the museum. He succeeded Alice Rawsthorn in 2006. Unlike most large London museums, the entrance is not free, as it is not subsidised by the UK Arts Council. For this reason it operates as a registered charity, and all funds generated by ticket sales aid the museum in putting new exhibitions together. The museum attracts 200,000 visitors annually. 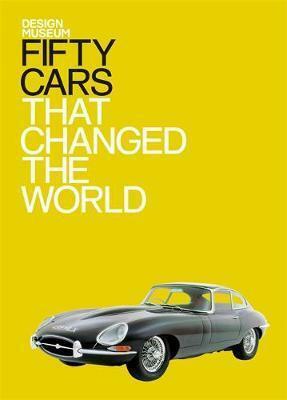 Fifty Cars That Changed the World focuses on the modern era's most important mode of transportation: the automobile. From the 1908 Ford Model T, through mid-century masterpieces like the 1957 Lotus Elite, to the 1998 Smart Car, the fifty entries explore each car's iconic status in design history.